Trieste is the most northern port in the Adriatic Sea with an interesting history. With its strategic location it was very important throughout the history and played a strong role for the economy of the Hapsburg Empire. The town is still multicultural and was also marked by public figures of that time like James Joyce and Sigmund Freud. Today it offers picturesque squares and architecture, typical Italian cafes and many shopping opportunities. We will walk through the centre of the city and visit the Piazza Unita d’ Italia, the Government Palace, the Municipal Palace, the statue of Charles VI and more. Some free time for independent sightseeing or shopping is also available. Next we will visit a Miramare Castle, once a residence of the Habsburg family today a museum, build in 19th Century (1860) on Maximilian Habsburg’s order for him and his wife Charlotte of Belgium. 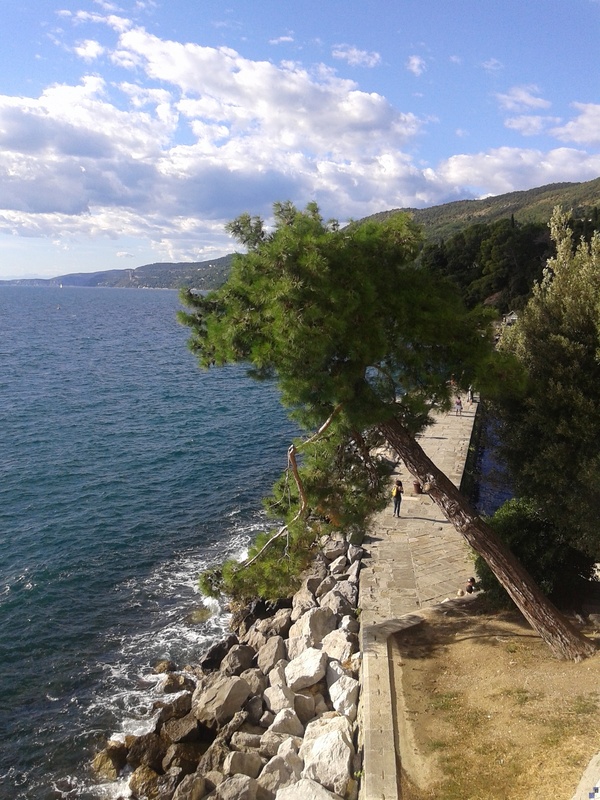 Today Trieste is the most important coffee port in Europe and it’s no wonder that it is a city where you will taste one of the best coffees, where you can find lots of small and large cafes with a rich history, where also great writers and poets once sat. Trieste has over 10 operating coffee roasting plants, including world brands such as Illy, Hausbrandt, Cremcaffe, Qubik Caffe and Primo aroma. One of the roasting plants we can visit upon prior arrangements (surcharge) to learn the history of roasting coffee and to taste it directly from the production line. Departure from Ljubljana or by prior arrangement also from other cities in Slovenia. Surcharges: Entrance to the castle 8 € / person.